The Bacolod City Anti-Drug Abuse Council (CADAC) pushed for the declaration of city barangays drug-free or drug-cleared. 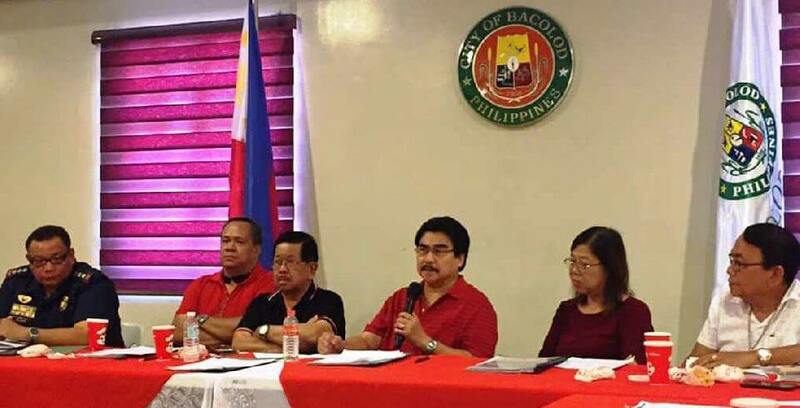 Bacolod City Mayor and CADAC chair Evelio Leonardia disclosed that he, together with Executive Assistant Sammy Montoyo, cluster liaison for CADAC, attended the First Anti-Drug Summit in Davao recently and Bacolod was one of the few local government units represented in that summit. “CADAC is a need of the times because we would like to have all of your participation, support and cooperation on this concern (anti-illegal drugs),” Leonardia said. According to Leonardia, it is very clear that under President Rodrigo Duterte’s administration, the drug concern will continue to be a very high priority of the government. The local government will have a re-bidding of the P30-million Drug Treatment Rehabilitation Center (DTRC) and the P5-million Balay Silangan after previous bidders lack the legal and technical requirement for the DTRC and after the Philippine Drug Enforcement Agency approved the structural design for the Balay Silangan. Balay Silangan, a national drug reformation program based on the Dangerous Drugs Board (DDB) Regulation No. 2 series of 2018, will offer temporary refuge with the objective of reforming drug offenders into self-sufficient and law-abiding members of society. DDB allocated P10-million for the Balay Silangan project while the local government counterpart is P20-million. Balay Silangan, according to Montoyo, is one of the vital requirements for a moderately affected barangay to be declared drug cleared.